So I went down to the potter's house, and there he was working at his wheel. And the vessel he was making of clay was spoiled in the potter's hand, and he reworked it into another vessel, as it seemed good to the potter to do. Deliverance comes when your heart turns back to God! Jeremiah noticed that this potter saw an imperfection in this vessel. So he smashed the vessel back to an amorphous lump and reworked it into something great. God had to do this with the nation of Israel. Their hearts had tuned away from God towards many idol gods. To work these unholy affections out of them God allowed Babylon to pillage and ravage Israel as well as enslave the Israelites for seventy years. They were never a perfect people, but after this captivity they never sought idol gods like they had before captivity. The Potter had made an impression in their spirits. Felling crushed? Feeling broken? Does it seem as if you are hitting a brick wall in life? The Potter may be working something out of you. 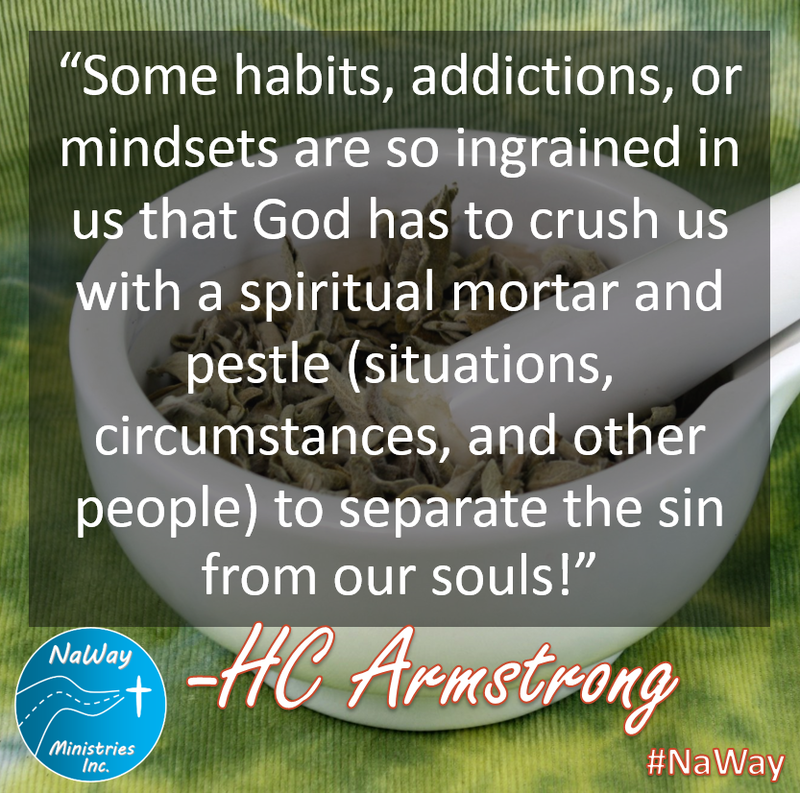 Some habits, addictions, or mindsets are so ingrained in us that God has to crush us with a spiritual mortar and pestle (situations, circumstances, and other people) to separate the sin from our souls! In the midst of your negativity ask yourself what God may be trying to remove from you. Don't fight the Potter's will. Let the pain push you towards perfection!